Description: One of the few games that doesn't have the name of the game on the spine. Astal's world, Quartilia, is a mystical world much different from Earth. Everything in this beautiful land was created from a handful of jewels by the goddess Antowas. Even Astal and Leda, the girl Astal loves, were created from Jewels. 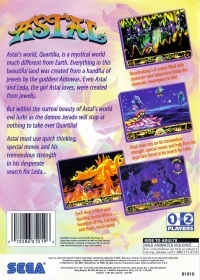 But within the surreal beauty of Astal's world evil lurks as the demon Jerado will stop at nothing to take over Quartilia! 10-20-2016 washerdryercombo Description One of the few games that doesn't have the name of the game on the spine. 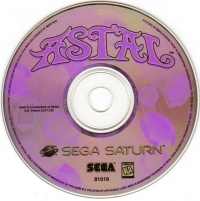 This is a list of VGCollect users who have Astal in their Collection. 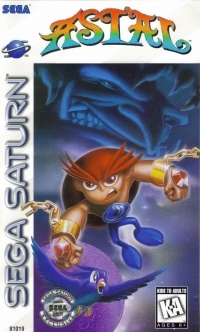 This is a list of VGCollect users who have Astal in their Sell List. This is a list of VGCollect users who have Astal in their Wish List.